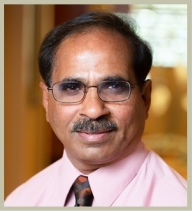 Dr. Rajnikant M. Patel has been practicing dentistry for over 35 years. He graduated with a B.D.S. degree in 1977 and postgraduated with a M.D.S. degree in Oral Pathology and Bacteriology in 1980 from Government Dental College and Hospital, Ahmedabad, India. After graduating, he completed his residency in Oral and Maxillo Facial Department at the same institute for six months. He served as a lecturer in Prosthetic Dentistry, attending the same institute from 1978-1980. He was then promoted to serve as an Assistant Professor of General Dentistry at Government Medical College of Surat, India. He was affiliated with civil hospital (charity institute), where he served the community of his hometown Surat for over ten years. Dr. Patel visited the United Sates from 1987-1990 several times to complete his National Broad Examinations and California Broad Examinations to earn his license to practice dentistry and his D.D.S. degree. He also attended a residency program of Aesthetic Dentistry at Loma Linda University conducted by Dr. James Dunn, the leading cosmetic dentist in the U.S.A. He also completed his training in cerinate veneers, attending cerinate smile design worksop by The American Society for Clinical Research in 2007. Dr. Patel completed his comprehensive training with the Boston Implant Institute for the latest techniques in implant dentistry from 2006-2007. He earned Associate Fellowship with American Academy of Implant Dentistry in 2010. He is a member and Associate Fellow of American Academy of Implant Dentistry. Dr. Patel maintains his private practice in the city of Corona since March 1992 and has moved to his new state of the art practice with the latest dental equipments since 2008. Dr. Patel in his free time loves to golf, hike, travel, and sing old and new Bollywood songs. 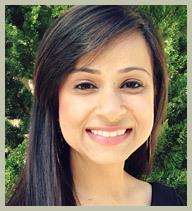 Our Dental Hygienist, Mruga Jariwala has been practicing with Dr. Patel since August 2008. She graduated from University of California Riverside with a Bachelors of Science in Biological Sciences and a minor in Religious Studies. She received her Dental Hygiene degree from San Juaquin Valley College in 2008 and was the Valedictorian of her class. A Dental Hygienist plays an important role in patient care and management at our dental office. During a dental appointment, the Hygienist usually removes plaque (soft deposits of bacteria) and Calculus (hard and calcified deposits of bacteria) from above and/or below the gumline, depending on the procedure being performed. They specialize in Scaling and Root Planing and managing gum (gingival) and periodontal (alveolar bone) related infections. Come and meet our Hygienist, Mruga. She is not only professional but provides utmost quality of care to her patients. She is gentle, kind and compassionate. She will spend the most time needed in offering thorough treatment, educating the patient about their oral health and hygiene, and guiding her patients on how to prevent or maintain gingivitis/periodontitis. It is an honor and a privilege for Mruga to have the opportunity to work for her father, Dr. Patel. In our family owned private practice, we hold high values in our own expectations as clinicians and the outcome is quality care. As a team, we love to provide the best patient care with honesty and integrity.